It’s no secret that the boys from Gymjunky have been our companions for some time (see here). Unsurprisingly, we also designed their exhibition booth at FIBO – the world’s biggest trade show for fitness, wellness and health worldwide. 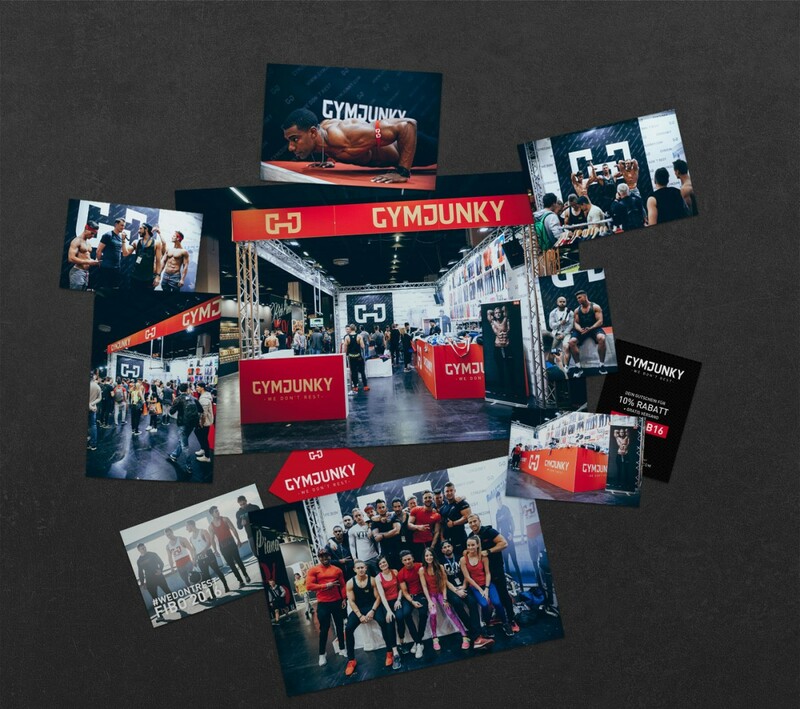 In 2015, Gymjunky’s space at FIBO was limited to just about half a table – but still turned out to be a full success. So the year after, we decided to go big: We got the chance to design an exhibition booth of no less than 60 sqm. For us, this was an awesome opportunity to transfer a brand from a mostly digital, online space into the “real world” and make it come alive – with a sales area, an event space, a stage, stand-up displays and much more.